The CoffeeShop Blog: CoffeeShop Facebook Cover 6/Website Header and Happy 4th of July!!! CoffeeShop Facebook Cover 6/Website Header and Happy 4th of July!!! Happy 4th of July to all of my readers!!! I hope you are having a great day and not working on the computer (unless you are doing it for fun of course). Our little town is having a big 4th of July festival today so I will pull myself off this computer and spend some family time listening to live music, eating funnel cake and watching fireworks. The boys are so excited because last year all fireworks were canceled due to the drought in Texas. Oh, check out these amazing free patriotic patterns by Shadowhouse Creations! Today I put together a new Facebook cover/website header. This one is a layered psd so it is completely adjustable in Photoshop and PSE. I also included a simple png in the peach color if you use another editing program. Colleen of Chasing Dreams generously donated the textures used in this design. If you visit her Facebook Page today she has a special discount on her textures today if you become a fan. Colleen sends all of her textures to me and they are simply gorgeous and worth every penny. You can adjust all of the colors in this Facebook cover by clicking on the color adjustment layer icons and putting them in color (light colors) or multiply (dark colors) blending modes. 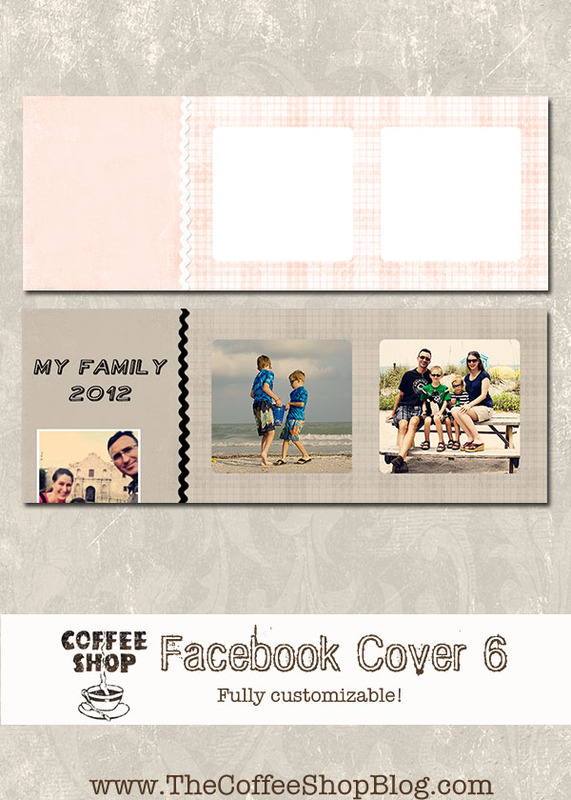 Download the completely free CoffeeShop Facebook Cover 6! You can also use this link. Note, this is an image file, not an action so open it like any other photo. I appreciate the kind plug, dear friend. I'm still living in the past just like the dinosaurs and haven't delved into the Facebook or Twitter pool,laziness,maybe, heck I'm probably the only person on the planet who hasn't got a cell phone! Hope you and your's have a wonderful 4th! Thanks so much! I'm loving these facebook timeline covers that you are so thoughtfully providing for us. Best wishes, Pam in Canada. Thank you so much for this post. 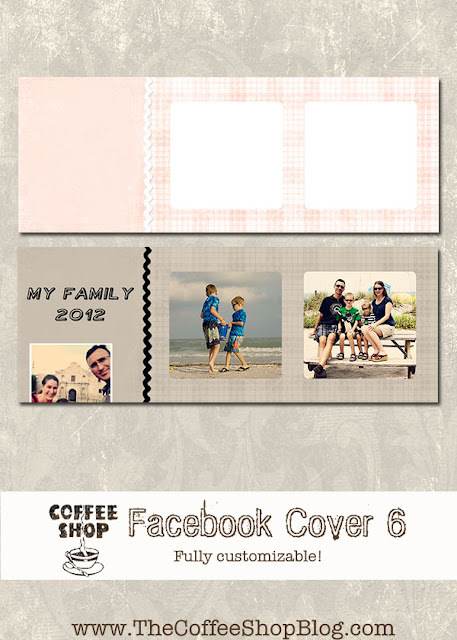 I want to let you know that I posted a link to your blog in CBH Digital Scrapbooking Freebies (please, notice the new url for my blog), under the Page 2 post on Jul. 05, 2012. Thanks again. Thank you so much for this post. I want to let you know that I posted a link to your blog in CBH Digital Scrapbooking Freebies (please, notice the new url for my blog), under the Page 4 post on Jul. 05, 2012. Thanks again.